K&N Custom Air Filter Assemblies are designed with the racer in mind. They incorporate good looks as well as the superior air flow that you expect from K&N. 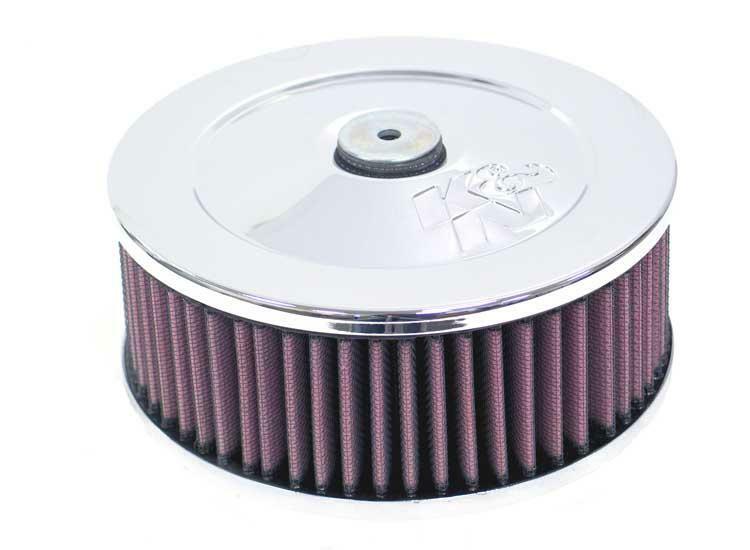 K&N Custom Air Filter Assemblies are designed for use with any engine that uses a round element air cleaner housing. They incorporate our famous K&N Air Filters and provide more air flow than other assemblies of this type. Available in 4 different designs, the perfect assembly is sure to be found here. Each complete assembly comes with base, element, and top plate.